Well it’s finally here. Be the envy of all your favorite food lovin’ friends when you wear the official Cookhacker T shirt…now on Amazon. It’s available in five different colors and comes in in Men’s, Women’s and Kid’s sizes. 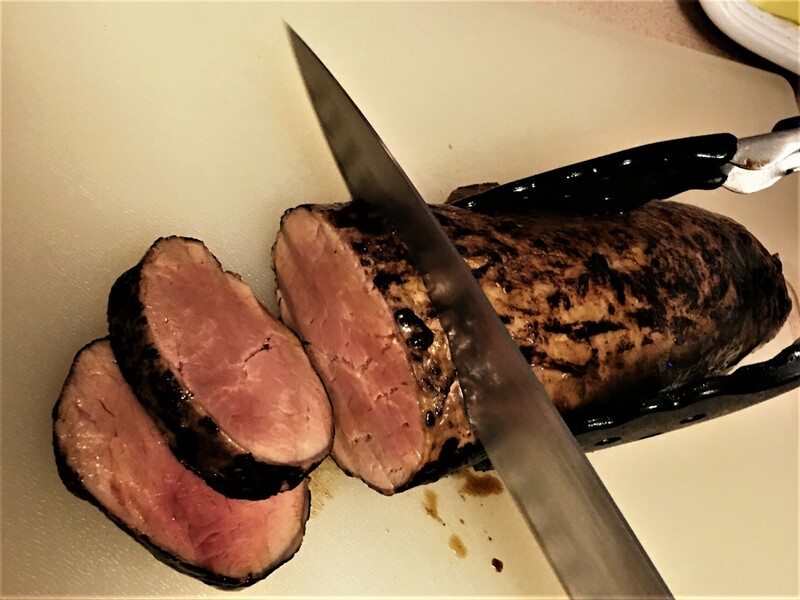 I guarantee if you wear this shirt when preparing one of the great recipes on Cookhacker.com, like our Sous Vide Teriyaki Pork Tenderloin, the results will be way tastier than if you just wore a generic shirt while cooking. It’s also a really cool shirt to wear when visiting your favorite restaurants and hangouts. Help spread the word…Cookhacker has the recipes, secrets, tips and tricks to help a good home cook become a great home Chef. One more great Super Bowl Party Recipe repost (actually this is a much better version with updated recipe tips)…but first, the backstory. Back in 1976, I was working at The Foundry restaurant in DC and one of the waiters, Michael Murphy, who happened to be from Buffalo, told us of the amazingly simple way they prepared, of all things, chicken wings, up there at a place called the Anchor Bar. We started giving away the Buffalo Chicken Wings during Happy Hour and immediately the place became packed each day at around 4:45 pm with everyone waiting for the wings to come out of the kitchen…and the rest is culinary history. It seems that every bar today has chicken wings on the menu, and for good reason…when they’re made right, they’re incredibly and addictingly (if that’s even a word) good! 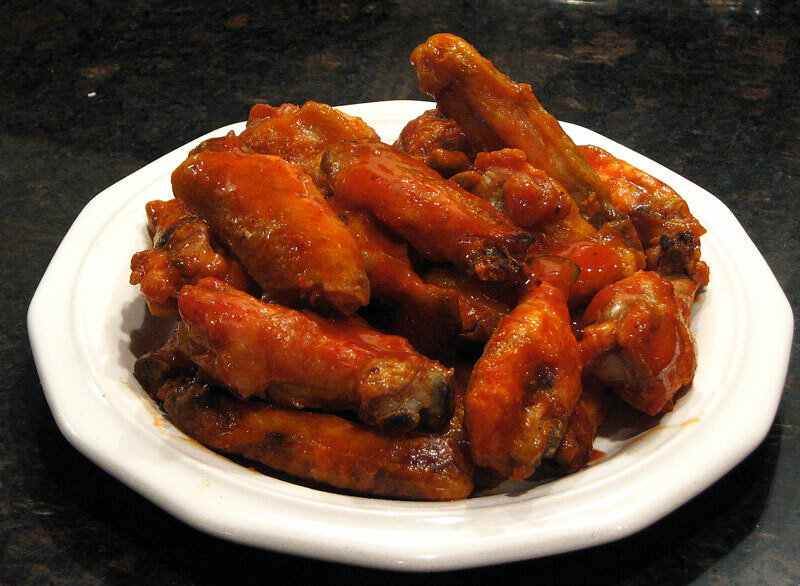 They’re actually very simple to make…cut 12 wings into three pieces at the joints (discard the wing tips or keep them for preparing stock) and just deep fry the flats and drummettes for 10-12 minutes in 375 degree oil (preferably peanut) until they’re crispy and golden brown, toss them in Frank’s Red Hot Sauce and serve with celery and bleu cheese dressing…that’s it…nothing else is needed. The problem is that it’s really a pain (and a greasy mess) to deep fry at home, but there is a not-so-secret way to avoid that mess, while still getting that great Buffalo Chicken Wing crunch and flavor……just bake them in the oven. Super Bowl Special – Best Pulled Pork Sandwiches EVER! 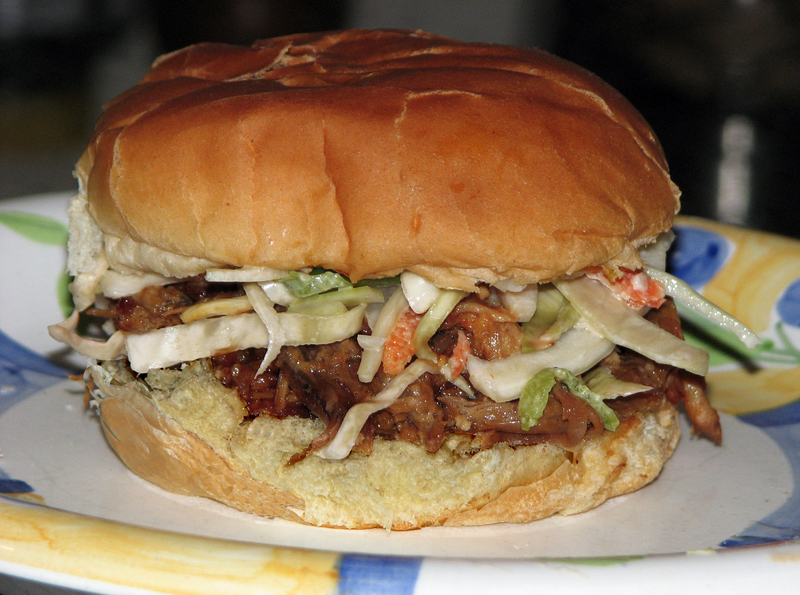 I’m reprising this post (as I do every year about this time) because this is a great recipe for a Super Bowl party…slow cooked, pulled pork sandwiches topped with my grandmother’s amazing Cole Slaw. The best thing about this pork recipe is it’s done in a slow cooker. 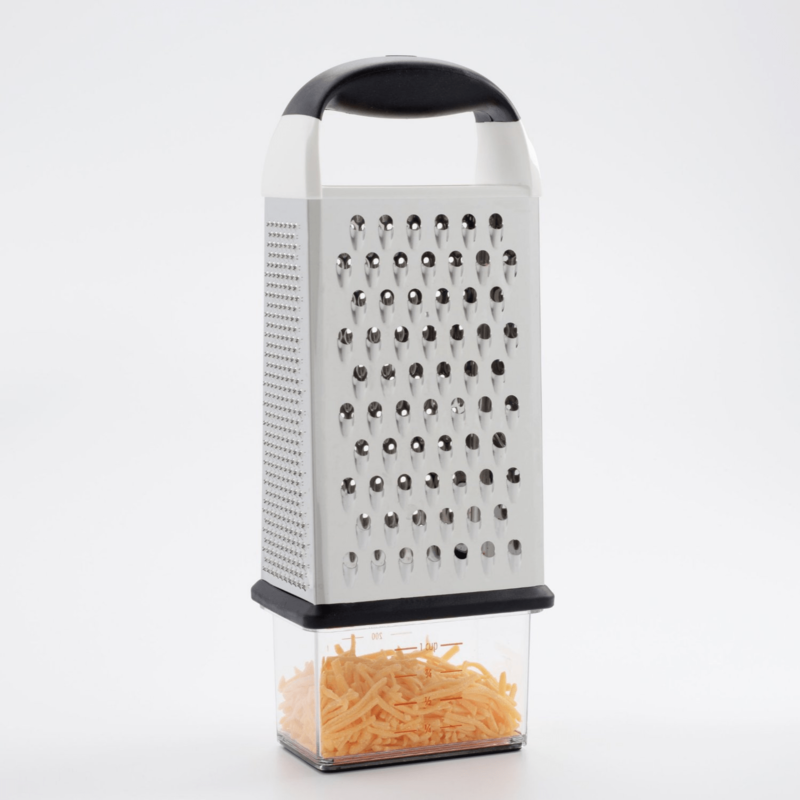 The prep is really simple, the cooking is low and slow (it can be done overnight), the resulting flavors are incredible and, best of all, it makes dozens of sandwiches with very little effort…perfect for a party. And if any pork is left over (not likely) just divide it up into serving size portions (4-6 oz each), wrap in plastic wrap and freeze them. When you get that irresistible craving for a pulled pork sandwich, just pop one in the microwave, top it with some bbq sauce (I love Bullseye Original Flavor), put it in a steamed bun, slap on some cole slaw and, in minutes, I guarantee you’ll be wallowing in the throes of pulled pork nirvana! Click here for Cookhacker’s printable Pulled Pork recipe. Click here for Grandma Molly’s Legendary Homemade Cole Slaw recipe. This is a simple one pan (if you don’t include the pot the pasta is cooked in) weeknight-type recipe that comes together quickly (about 30 minutes) and tastes terrific. The trick of adding a little baking soda to the shrimp before sautéing insures that they will remain juicy, plump and tender when cooked (thank you SeriousEats). 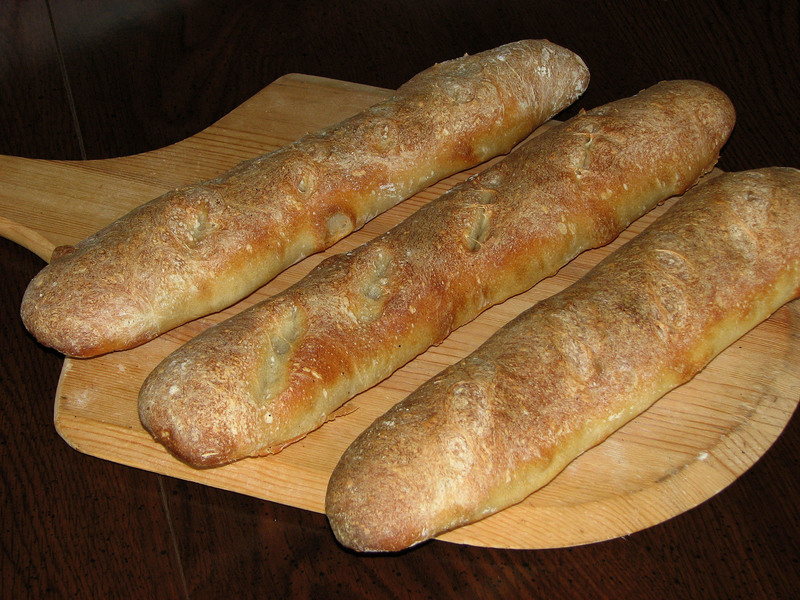 Serve this with garlic bread and a salad and you have an easy, delicious, relatively healthy meal. 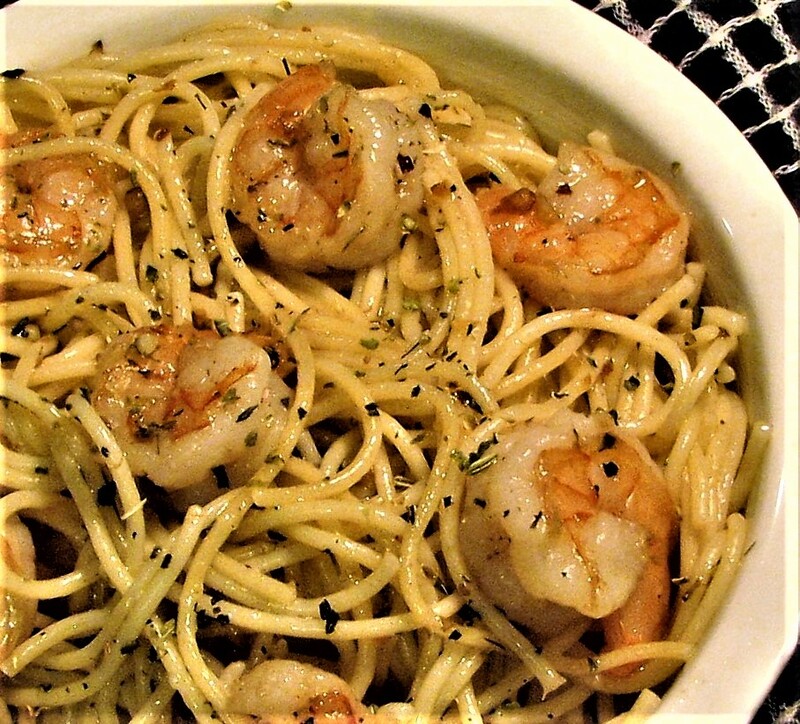 The combination of shrimp, garlic, butter and parsley is really hard to beat…and the leftovers (if there are any…I doubt it) taste great the next day! 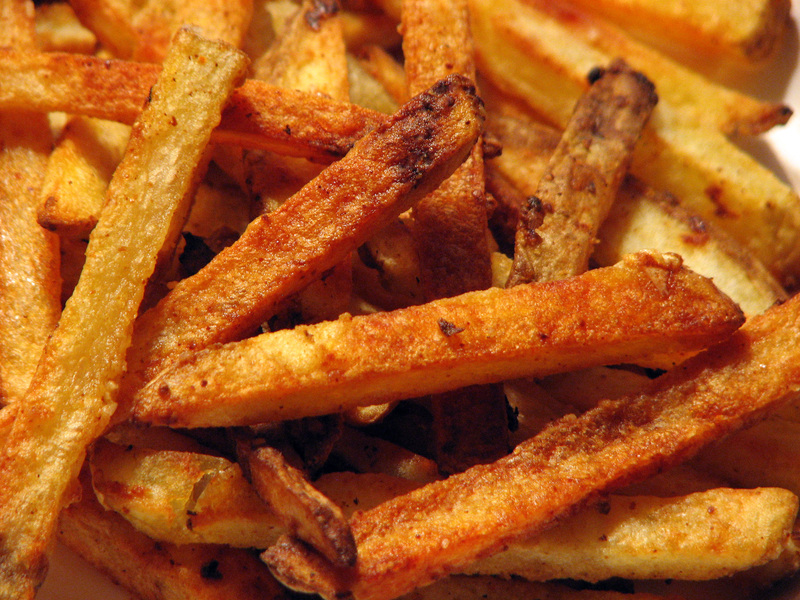 A few years ago I posted my favorite oven baked french fry recipe…that one was great (it was for thicker steak-cut fries), but I’ve been experimenting with oven baked fries since then and came up with this recipe, which is even better…it turns out thinner, crunchier, crisper fries with way more flavor. The secret is par cooking the potatoes in the microwave for a couple of minutes in a garlicky olive oil and then coating them with a spicy cornstarch mixture before baking them in the oven. It sounds a lot more involved then it is…it’s actually simple, fast and definitely worth trying. It is also very forgiving, so feel free to experiment with different spices and quantities…as long as you dry the potatoes well after soaking, and keep an eye on them as they cook, they’ll come out great. Pair the fries with a super-melty cheeseburger topped with caramelized onions and you’ll never want to go out for burgers and fries again, ’cause it really doesn’t get an better than this. 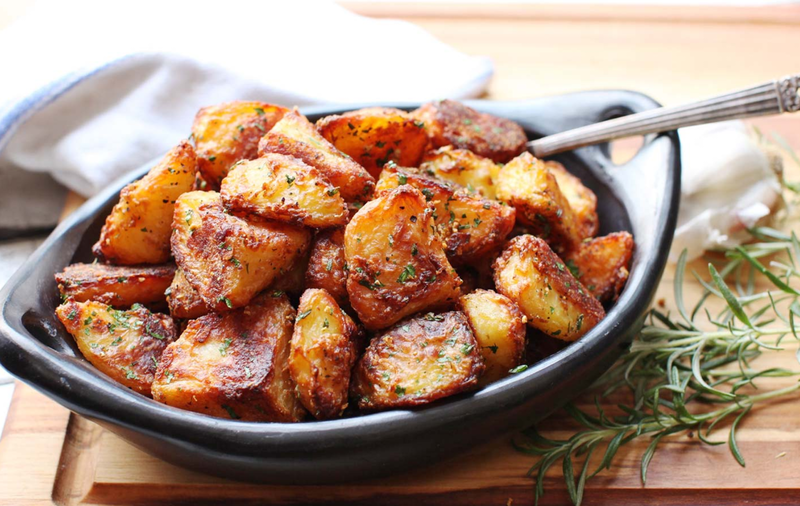 These are absolutely the best roasted potatoes I ever tasted…crispy on the outside and fluffy and tender on the inside. Also, although russets work really well with this recipe from J. Kenji López-Alt, the genius Culinary Director over at Serious Eats, I would recommend Yukon Golds (or a combination of the two) for the best and most flavorful results. You can check out the recipe here…these potatoes take a little more time and effort but I think once you taste them, you’ll agree that they are SO worth it.